“The French Revolution and the Marseillaise should not be symbols of Liberty. “It was the best of times, it was the worst of times…” With those words, and a litany of hope and despair to follow, Charles Dickens began his novel of the French Revolution – the Revolution celebrated today on the anniversary of the Storming of the Bastille. It was the best of times – the Revolution overthrew feudalism. It was the worst of times – it instituted dictatorship. It was the best of times – it proclaimed liberty. It was the worst of times – it enforced equality. It was both thrilling and blood-chilling – like the anthem of blood lust to which it gave birth, and which it still so well reflects. Proclaimed an excited Wordsworth: “Bliss was it in that dawn to be alive, and to be young was very heaven” – but he said it with the protection of La Manche between him and The Terror. He embraced the Bliss; he dismissed the Destruction. “To destroy is the task,” said Victor Hugo, “to build is the work. Progress demolishes with the left hand; it is with the right hand that it builds. The left hand of Progress is called Force; the right hand is called Mind.” Both hands brought the French Revolution into the light; it was the left hand that eventually took the spoils. The French Revolution essentially lasted twenty-five years and spread its Terror across every part of Europe. It started in hope, plunging immediately into murder. It overturned feudal aristocracy, then embraced fifteen years of military dictatorship. It started with freeing the imprisoned, and delivered a war that bled France and Europe dry. It started in the Tennis Court at Versailles and ended on the field at Waterloo. It started with liberty, equality and fraternity, and ended in class warfare and the guillotine. 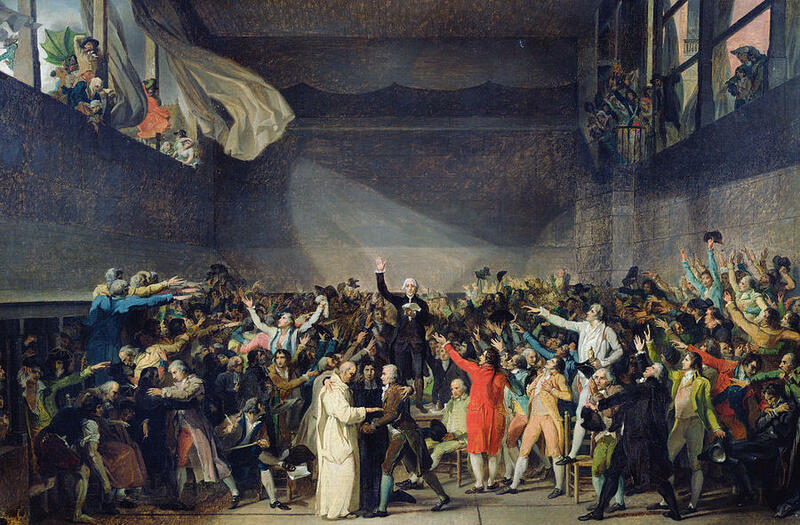 The French Revolution felt the impact of the American revolution, but misunderstood its message. In the face of a colonial oppressor the American founding fathers raised a flag reading “Don’t Tread on Me”; in the face of a thousand years of feudalism the French Revolution raised the guillotine. The Americans threw off their colonial ruler and proclaimed a constitutional republic; the French threw off the miasma of feudalism, and replaced it with the the dead weight of dictatorship. The American Revolution threw up Washington and Jefferson; the French threw up Robespierre and St Just. The American Revolution proclaimed the rights to life, liberty and the pursuit of happiness and then set out to protect them; the French Revolution proclaimed the “the General Good” and set up a Committee of Public Safety to protect them. 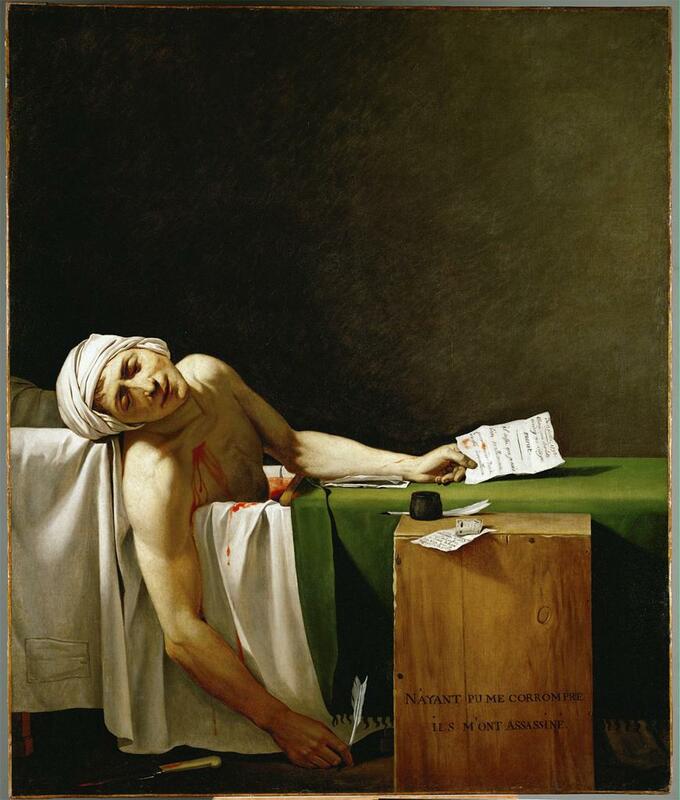 As Michael Berliner explains, "Jefferson and Washington fought a war for the principle of independence, meaning the moral right of an individual to live his own life as he sees fit"; Robespierre and Marat fought for the principle of the rights of the majority, meaning the the principle of all sovereignty resides essentially in the nation’s rulers. The American Revolutionaries fought to set up a government that protected individual rights; the French to set up a dictatorship protecting “collective rights” and killing “class enemies.” The Americans knew about Cromwell’s Protectorate and sought to avoid it; the French had forgotten it, and were fated to emulate it. The Americans followed John Locke and Montesqieu and have since forgotten both; the French, Rousseau, whose name is lauded still. The American Revolution was snatched out of the jaws of history, at a time unique in intellectual development; the French disaster just a few years later shows just how short that historical-intellectual window was. The lesson of the French Revolution, as Ayn Rand says below, “is that political freedom requires much more than the people's wish [to be free]. It requires an enormously complex knowledge of political theory and of how to implement it in practice.” America’s founding fathers knew it; her patrons and patricians of today have forgotten it; but France’s Committee of Public Safety never ever learned it. Both overturned a tyranny; the former to erect a government of laws, not of men, and wrote a consitution to give it effect; the latter to replace it with mob rule, The Terror and the committe of Public Safety. It is the American Revolution that has lessons to follow today; the French Revolution is one of many with lessons to avoid. It took centuries of intellectual, philosophical development to achieve political freedom [observes Ayn Rand]. It was a long struggle, stretching from Aristotle to John Locke to the Founding Fathers. The system they established was not based on unlimited majority but on its opposite: on individual rights, which were not to be alienated by majority vote or minority plotting. The individual was not left at the mercy of his neighbours or his leaders: the Constitutional system of checks and balances was scientifically devised to protect him from both. This was the great American achievement—and if concern for the actual welfare of other nations were our present leaders' motive, this is what we should have been teaching the world. Instead, we are deluding the ignorant and the semi-savage by telling them that no political knowledge is necessary—that our system is only a matter of subjective preference—that any prehistorical form of tribal tyranny, gang rule, and slaughter will do just as well, with our sanction and support. It is thus that we encourage the spectacle of Algerian workers marching through the streets [in the 1962 Civil War] and shouting the demand: "Work, not blood! "—without knowing what great knowledge and virtue are required to achieve it. In the same way, in 1917, the Russian peasants were demanding: "Land and Freedom!" But Lenin and Stalin is what they got. In 1933, the Germans were demanding: "Room to live!" But what they got was Hitler. 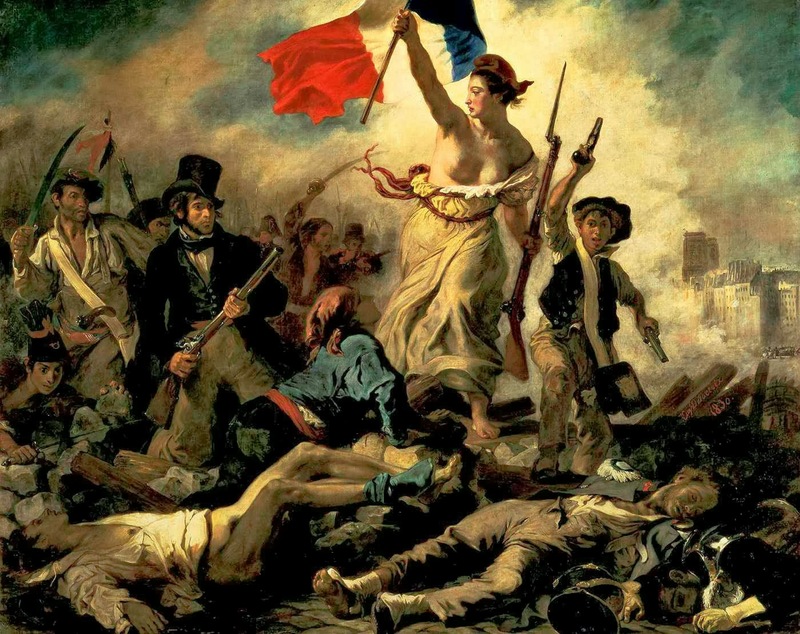 In 1793, the French were shouting: "Liberty, Equality, Fraternity!" What they got was Napoleon. In 1776, the Americans were proclaiming "The Rights of Man"—and, led by political philosophers, they achieved it. No revolution, no matter how justified, and no movement, no matter how popular, has ever succeeded without a political philosophy to guide it, to set its direction and goal. Let’s remember the lessons of the French Revolution today, just as we remember the lessons of the American on July 4th – but let us not forget which of them has the lessons and the political philosophy we (and today’s America) might want to emulate. Liberty, Equality, Fraternity. Individual liberty is the highest ideal. 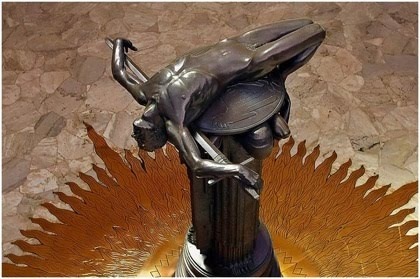 Fraternity is brotherhood, the collective, the group, the union.Your liberty comes at the behest of the group. Equality doesn't mean equal rights but everyone being of equal status. In other words Socialism.I prefer Liberty, prosperity, generosity.